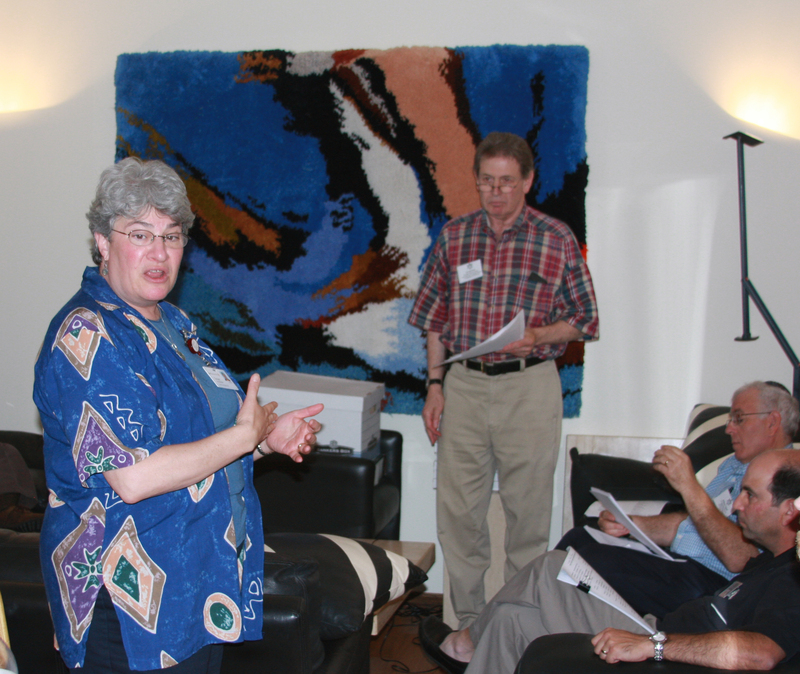 Midwest Region under the guidance of Ernie Smolen began a program in September, 2008 in which Region Clubs (5 initially) would rotate attendance at the Lieberman Center Saturday Morning Shabbat Services. Mens Club members would assist residence to and from services and would assist as needed during the Shabbat Services. Susan C. Buchbinder made a brief presentation at the Midwest Region FJMC Club Presidents Dinner and meeting on Sept. 22, 2008. Susan is the MSW Director of Religious Life at the Council of Jewish Elderly, Lieberman Center for Health and Rehabilitation, Skokie, Ill.
Susan enjoyed dinner with the Club Presidents. 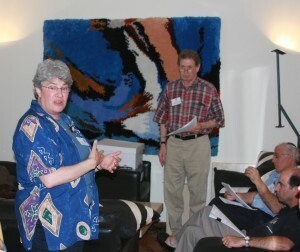 Later, she thanked the Region and in particular, the four Midwest Region Clubs that helped seniors from the center attend and participate in Saturday morning Shabbat services. Another way the Midwest Region is special!